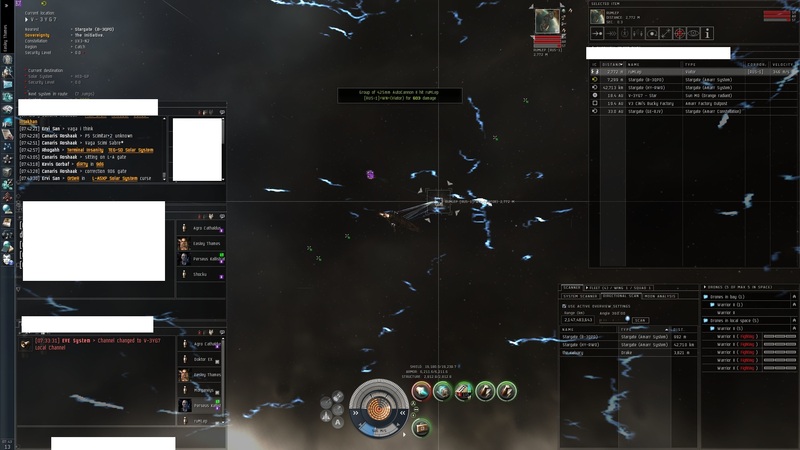 -MVN- is back in Delve making preparations for whatever comes next. We left Catch because -A- is gone, and Init now has more space than they can use. Of course, it doesn’t even compare to this loot pinata stuffed with two full sets of slave implants. Not the low-grades. We’re talking good ones for crazy low-sec pilots with too much isk. We also took out an annoying -A- Dramiel pilot who kept following us around the region. It was a particularly satisfying kill for PK who lost a Saber to the same guy earlier. Another IT corp got a bit irate, and after making a fuss, they got Molle himself to come and demand we take down this fantastic phallus. We had to comply, but while it lasted this was certainly a useful and stylish way to trap hostiles coming into our space from Fountain. Small -MVN- gangs have been ganking, whenever possible, anyone who comes into our neighborhood. Most of the kills have been cloakers or fast-movers. 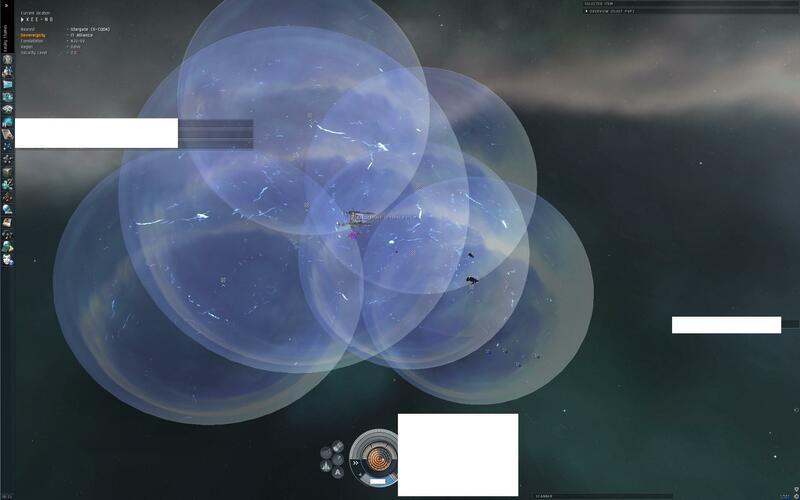 To catch a recon or agile frigate you usually need bubbles, scram + web and pilots who are skilled at de-cloaking. Using all of those skills, we’ve nailed quite a few soloists (including e-famous video makers) and small-gang scouts since coming home. Those are just a couple random killmail examples. Finally, as a note to everyone who has contacted myself or PK and mentioned how much they enjoy our blogs, please feel free to post comments here or mail me with questions you would like to see addressed in a future post. I try to focus on personal experiences only, so I don’t necessarily record every interesting event that occurs with -MVN- or IT as a whole, but theory-crafting is well within the realm topics I enjoy writing about and I would be happy to discuss fittings and piloting for various ships. Bubbles play a huge role in 0.0 combat, and it is not hard to understand why interdictors are so commonly requested by fleet commanders. However, you don’t need to be in one of these awesome vessels to deploy a bubble! Mobile warp disruptors can be setup in 1-2 minutes (T2 bubbles anchor more quickly), and these toys open the door to a wide variety of tactics that you might otherwise not have available to you. 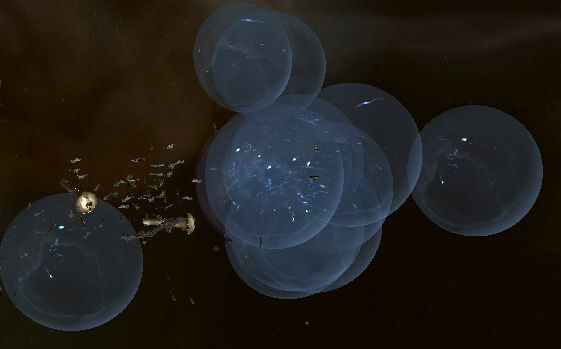 While anchored bubbles tend to be used most commonly in traditional large-gang gate camps (like the one pictured above), a small mobile bubble can be a great tool for solo PvP. One of the best uses for bubbles is catching cloaked ships. By positioning yourself on the edge of your bubble, at the expected landing point, even larger ships can catch cloakers or agile frigates with ease. 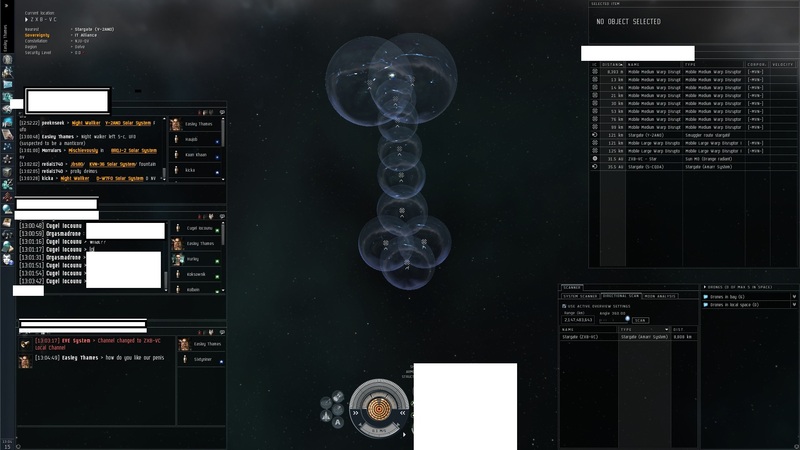 Another popular trap involves lighting a cyno in a bubble and waiting for the enemy to warp in out of curiosity. This is sometimes called the “honeypot” tactic and it can be very effective. One variation on the “honeypot” that I particularly enjoy is lighting the cyno at a well-armed POS where you can rely on anchored modules to help do your dirty work. Finally, the combination of carefully prepared warp-ins and an in-line drag bubble can also be a great way to slow-down pursuit from hostile gangs or to prepare a devastating bombing run. I have only recently made it habit to carry a small bubble around with me when traveling in hostile space, and I expect that it will continue to come in handy. Having a bubble on-hand has already lead to some excellent solo kills, and I will continue posting about my experiences using these oh-so-helpful spheres.